On September 4, 2014 at «Azimut Moscow Olympic Hotel» (Moscow, Russia) was host the 2-d Grain Dinner where participated leaders of the foreign and domestic grain and oilseed trading firms, major grain producers, logistical firms, commercial and investment bankers, government decision makers, industry associations. Among the participants of the 2-d Grain Dinner were Deputy Minister of Agriculture of Russia Andrey Volkov, Deputy Chairman of Vnesheconombank (state corporation «bank for development and foreign economic affairs») Andrey Klepach, Minister of Agriculture and Food Policy of the Moscow Region Y. Gulin, Deputy Chairman, Head of the Agroindustrial Department of Orlov Region V. Novikov, CEO of ASSAGROS V. Semenov, CEO of Russian Sugar Producing Union A. Bodin, President of the National Union of Agroinsurers K. Bizhdov, Director of International Cooperation Department of the Ministry of Agriculture of Russia D. Trefilov, Chief Executive Director of the «United Grain Company» A. Gukasyan, Deputy General Director of the «International Grain Company» N. Demianov, CEO of «Altayskie Mills» V. Gachman, General Director of «Russky Dom» O. Kananykhin, General Director of «Amurzerno» L. Kuznetsova, Deputy General Director of «Krasnodarzernoprodukt» E. Sidyukov and other leaders of global and Russian agribusiness. The event’s host became General Director of Schyolkovo Agrochim Salis Karakotov. The dinner participants were awarded with memorable souvenirs. 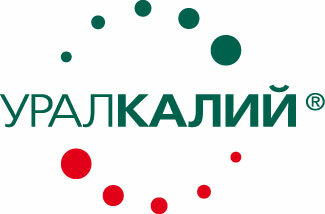 Useful partnership was provided by UralKali. The event was supported by Kuban-Vino and Baltika Breweries - Part of the Carlsberg Group.